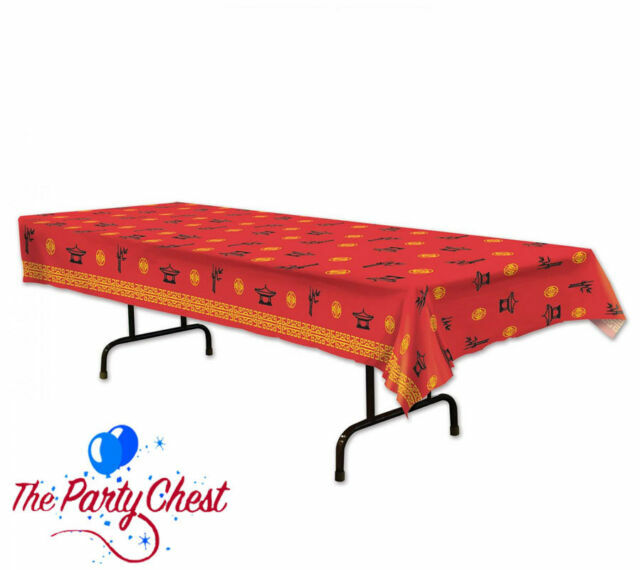 2.75M CHINESE NEW YEAR PLASTIC TABLECOVER. Large enough at 108" in length to cover a single standard size banquet table or it can be cut to size as required. Team this with red paper plates and serviettes for a great look.